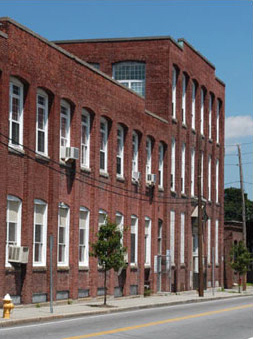 Our studio is located just over the Providence city line in one of Pawtucket’s beautiful historic mill buildings. Parking is available on Pawtucket Avenue in front of Gold’s Gym or in the building’s triangular parking lot. You can enter the building via the 545 door on Pawtucket Ave. or from the loading dock if you use the parking lot. Once inside follow the small signs to the studio on the 3rd floor.